Third of three stories. Click here for part one and here for part two. RALEIGH COUNTY, W.Va. — Environmentalists have turned a hobbyist drone into a weapon in their long, bitter battle against strip mining. 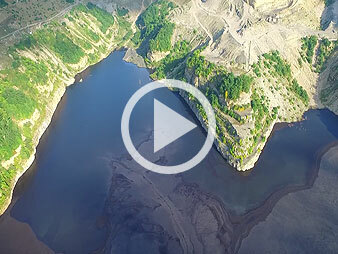 Junior Walk of Coal River Mountain Watch has recorded hours of aerial footage of mountaintop-removal coal mining and the massive Brushy Fork coal slurry impoundment in southwest West Virginia — reconnaissance his group couldn't afford if it had to hire a pilot and plane. Walk, 26, is the primary drone operator for Appalachian Mountaintop Patrol (AMP), a fledgling collaboration with Coal River Mountain Watch and other activist groups and New York filmmaker Laura Grace Chipley. 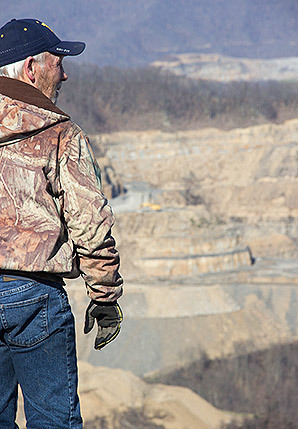 The enterprise allows anyone with an internet connection to take a high-definition tour of strip mines in the West Virginia mountains. Walk needs only to avoid straying onto coal company property and stay mindful of his drone's 20 minutes of battery life. Chipley, an assistant professor of media and communications at the State University of New York, Old Westbury, launched the patrol in 2015 as a way to put emerging technology in the hands of the community fighting mountaintop-removal coal mining. Her grandparents were from West Virginia, and her first excursion, fresh out of film school, was to the infamous snake-handling church in the town of Jolo. That experience taught Chipley an "ugly" lesson in how Appalachia and its people are portrayed, like on the numerous reality TV shows that depict life in the same hollows battling mountaintop removal. Her website features AMP photos and videos. "A lot of those stories are really dehumanizing and really almost make the case why not wipe this area out," Chipley said in a telephone interview from the Long Island university. "It's really important for people to be able to tell their own story." Drones offer access to a broader audience, Chipley said, such as video that Dakota Access pipeline protesters posted last winter of demonstrators being blasted by water cannons. "I think people are still enamored by the technology and the view you are able to capture with a drone," she said. Chipley secured a $20,000 grant from A Blade of Grass, a Brooklyn-based group funding "artists who demonstrate artistic excellence and serve as innovative conduits for social change." The grant paid for the drone, other video equipment and Chipley's trips to West Virginia. At the time, the drone cost about $2,000, but the same model today is well under $1,000. The grant has expired, but the patrol lives on, monitoring mining and offering free drone tours to anyone in Boone and Raleigh counties worried about coal mining so often hidden behind trees and ridgelines. "It is beautiful until you know what you're looking at, and then it's awe-inspiring and horrifying," Chipley said. To be sure, environmentalists have been using aerial photography and tours to make a point about Appalachian strip mining. The conservation group SouthWings has flown activists and journalists over mining sites for decades, while coal companies and regulators have argued over aerial inspections (Greenwire, July 17, 2012). And so with coal's grip on West Virginia politics, environmentalists sensed a conspiracy earlier this year when legislators proposed banning drones over "designated industrial facilities" like coal mines and coal preparation plants. 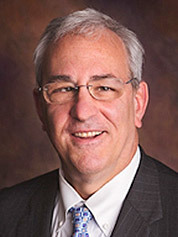 The measure, sponsored by state Sen. Charles Trump (R), would have criminalized unmanned aircraft flights over industrial areas. The state Senate passed Trump's legislation, S.B. 9, in March, but the House failed to take it up before the legislative session ended last month. Trump, chairman of the state Senate Judiciary Committee and no relation to President Trump, said he talked about coal sites just once during negotiations and didn't even think it was necessarily critical to include them in any future bill. The longtime northeastern West Virginia lawmaker said the bill was originally a deputy county sheriff's request for legislators to put some limits on what law enforcement could and could not do with drones. "Otherwise, somebody's going to do something that's going to end up being a lawsuit or splashing on the front page of the newspaper," Trump said. The Federal Aviation Administration has sketched out draft rules for "unmanned aircraft systems" — such as requiring operators to keep them in sight at all times — but states have been left to govern everything below 400 feet as drones spike in popularity. "It's one of those areas where the law is behind the technology," Trump said. Some legal scholars argue private property rights extend 500 feet up, while others worry regulations will hamstring innovation as companies like Amazon test out delivering packages by mail. "Once we got a bill moving on drones, then it seemed like everybody in the world was calling us," Trump said. The West Virginia Manufacturers Association was a chief proponent, namely on behalf of the major chemical manufacturers in the "Chemical Valley" that includes the state capital, Charleston. Rebecca McPhail, the trade group's president, said there have already been issues with drones crashing near power lines and chemical tanks. "It really would be a shame for us to have reactive legislation when we've had ample opportunity to be proactive," she said. McPhail said coal companies supported the bill but did not play a major role in negotiations. The West Virginia Coal Association did not respond to requests for comment on the legislation or drone use in mining areas. Chuck Nelson, a retired coal miner turned environmentalist, said drone pilot Junior Walk puts himself at risk when he sends his aircraft over mining areas. "They know that Junior goes up there and films all the time and puts it on Facebook and social media and all that," Nelson said. "He shares it with everybody, and they don't like that." The state Senate bill would have made it a misdemeanor, punishable by up to a $500 fine or six months in jail, to use a drone "to conduct surveillance of, gather evidence and information about, or photographically or electronically record a designated industrial facility without the prior consent of the owner." "Which," Walk said, "is exactly what we're doing." 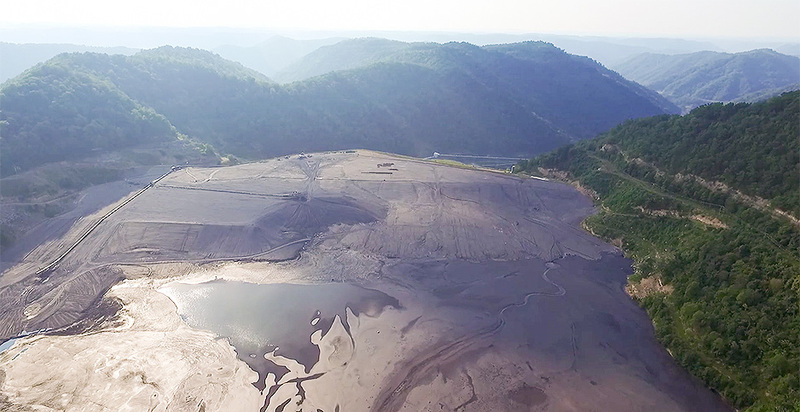 Coal River Mountain Watch recently sent drone photographs to the West Virginia Department of Environmental Protection documenting what it believes were several violations at an Alpha Natural Resources Inc. mine not far from the Brushy Fork impoundment. Nothing has happened yet, but Walk said, "Hopefully, they can get in some trouble over it." Alpha Natural Resources declined to comment. Walk isn't worried about getting caught. "When I'm flying the drone around," he said, "it's going so high up in the air, you can't see it, you can't hear it, they'd never know it was there." Chipley acknowledged that Appalachian Mountain Patrol has always walked a line between legal and not, but she said coal companies are the ones destroying places that families like Walk's have called home for generations. "You don't tell people not to go into their mountains."